My husband used to share this ritual upon arising. Decided years ago by both of us as an act of caretaking a loving relationship, making the bed has fallen to me of late, as he’s up and gone, often shortly past sunrise. These are the rhythms of our lives – the waking, pausing to reflect, the taking in of nourishment and the launching into what the morning holds. At the end of the day, there is no place we look forward to returning more than this comfortable, spacious berth. It is a place of retreat and sustenance; an unperturbable sanctuary. This morning as I make the bed, I think how like a prayer it has become. Removing pillows to the floor; noting the faint white streaks of slaver, markings of deep slumber. Small marvel, all the years this man has laid his head next to mine; the warmth of bodies and breath in benediction to the night that liberates us into other worlds. As my hands run over the bottom contour sheet, smoothing out the pleats we have eddied into existence, I pick off small flecks of lint and curls of chest hair; smile furtively at tracings known only to lovers. Tucking in what has pulled loose; snugging the top sheet to lap over the light summer blanket, hands smooth the surface like a memory. Small movements bear benevolence; small acts, in sum, cement meaning to our lives. Yes, it is our sanctuary, to be sure. No matter what the world throws our way, there’s safety and peace in that place. You take us to a very romantic place that had a routine feel. Your love moves you to make beauty and romance there instead. It is a special woman who can do this. Very lovely blog and I will be looking forward to more in the future. Aloha, and thanks for stopping by and leaving this sweet note. The depth of love in general is surprising to me at times. As long as my husband and I have been together, through all the maelstroms and uncertainties, we have weathered the storms with mutual admiration and respect intact. To me, that is nothing short of miraculous. Relationships are such opportunities to continue clearing the mirror and seeing ourselves more authentically than before. This kind of intimacy exposes a vulnerability that one becomes accustomed to, if allowed. And though it’s not always easy, it’s wonderful to experience that kind of unconditional acceptance from another. This is a lovely post. How nice to savor a routine, instead of looking at it as though it’s a chore. So glad you enjoyed it, Joan! Thanks for taking the time to post a comment. If you hover over that image, you will see it’s from shape.com. I always credit my source if it is known. I greatly appreciate your thoughtful consideration in writing and asking me to use the image. Share on! Oh, I am viewing from my Ipad and it didn’t show. I will credit back to your site and note that too. Thanks! I am about to post, not finished yet, but am starting a new WordPress event, if they approve it, with the post! Thanks! I’ll be back to read more of your bright ideas too! Thanks much for the mention, Joan! 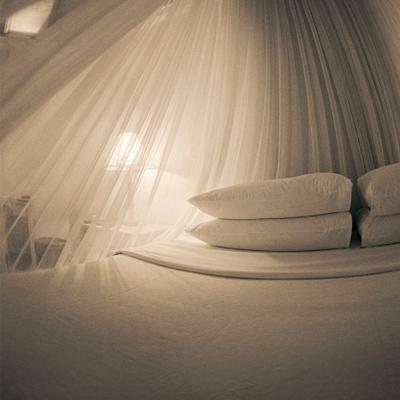 Wow,.. I’m going to start looking at making the bed, in a fresh new light. Great article! Haha, fabulous 😉 Glad you enjoyed the post!